We are pleased to announce the appointment of Rev. Ben Bower as Lead Pastor of Aldersgate United Methodist Church, effective July 1, 2016. 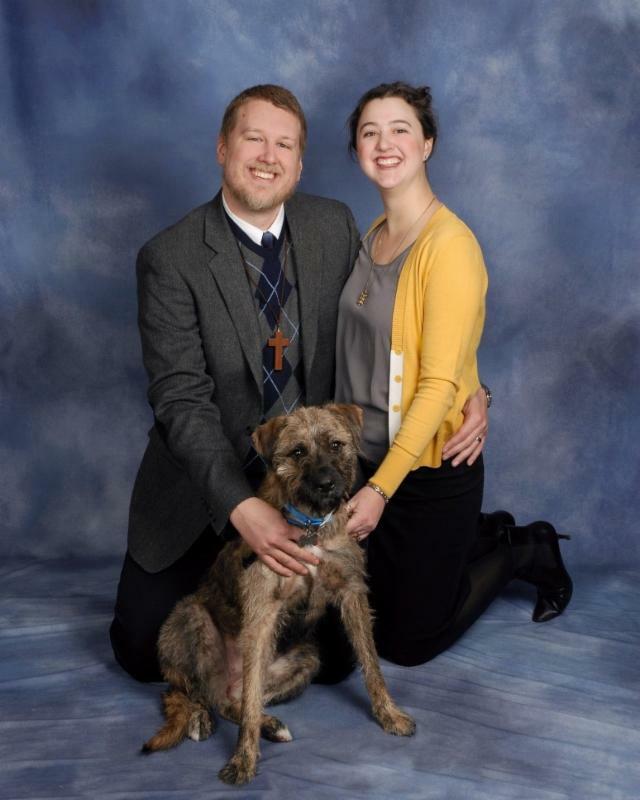 Pastor Ben and Mallory come to us from Trenton First UMC, where they have served for the past three years. Pastor Ben and Mallory are a dynamic and committed couple whose joy in living out their Christian faith is evident. Pastor Ben introduced himself to us with these words: “I have a heart for justice, reconciliation, and building bridges in our communities that testify to the inclusive nature of God, the subversive teachings of Jesus, and the radical transformation of the Holy Spirit.” He has a great deal of experience over the past seven years working in and leading mission-oriented projects and activities. Pastor Ben feels that “This life of faith is not one we journey on our own, but in connection. This connection is made up of people of all types because the Kingdom of God is a reflection of God’s own creativity and love.” Journey. Communities. Inclusive. Radical Transformation. Life of faith. Connection. The Kingdom of God. God’s creativity and love. These are key characteristics that Pastor Ben uses when describing himself, but aren’t they also accurate representations of Redford Aldersgate UMC? Please mark your calendar and be sure to join us for Pastor Ben’s first worship service in Redford on Sunday, July 3. We are excited to begin this chapter in the history of Redford Aldersgate United Methodist Church, and honored to have Pastor Ben lead us into it. Praise God!